There's a steady amount of top quailty Canadian producers making some great music, so it doesn't come to a huge surprise that a collection of this sort is being readied for release. Here we have a stream from George Jetson's effort, who utilizes a great vocal sample delicately over the top of wobbling pads, soft claps and kicks that cut through the mix. 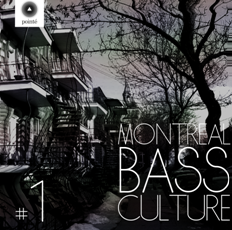 ‘Montreal Bass Culture Volume 1’ is released 5th October on Pointé Records.